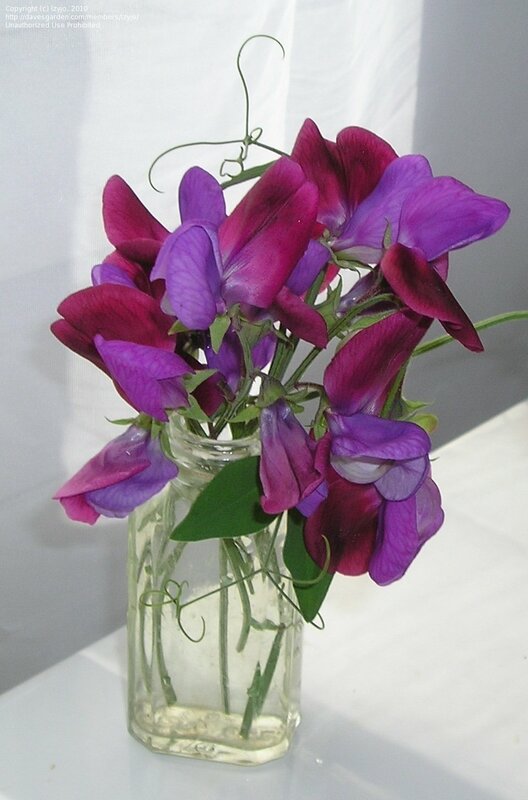 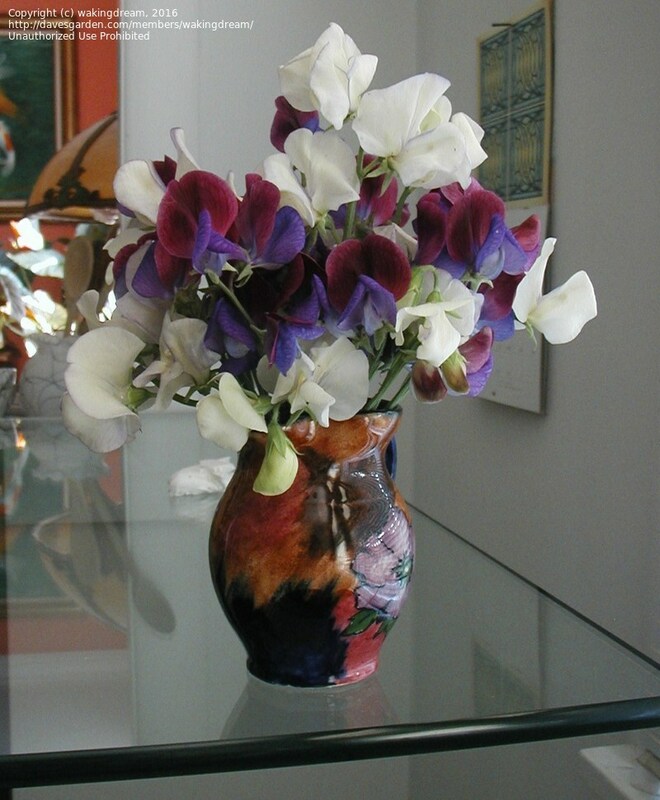 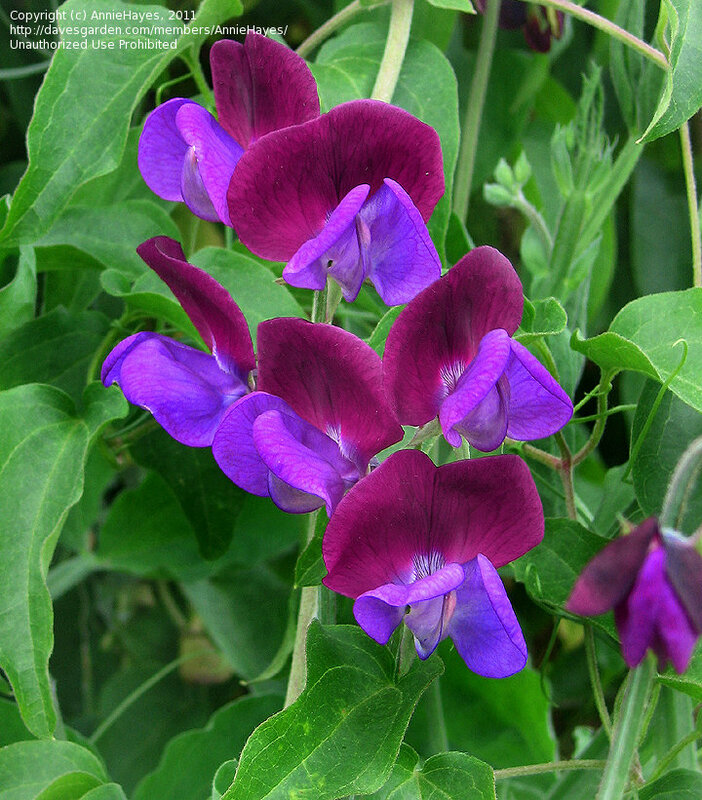 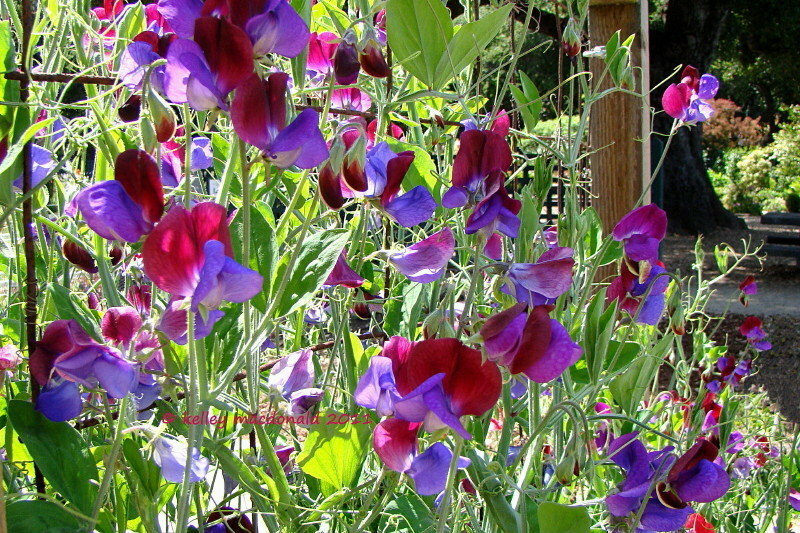 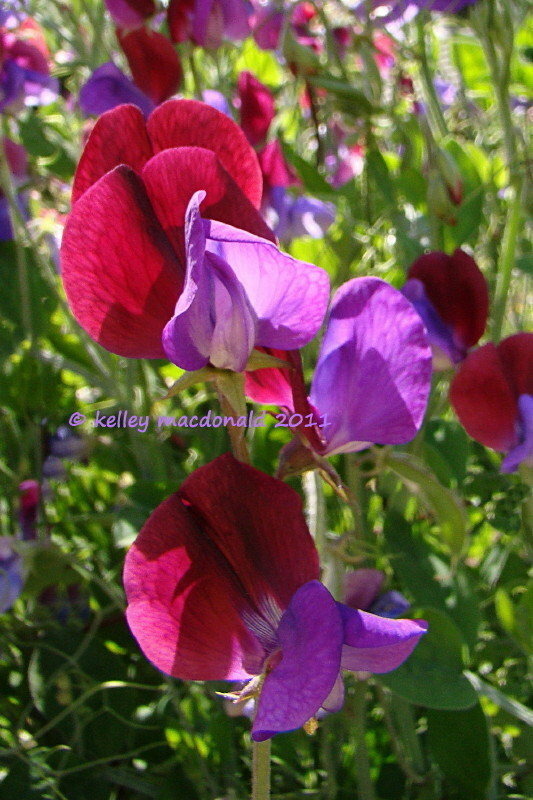 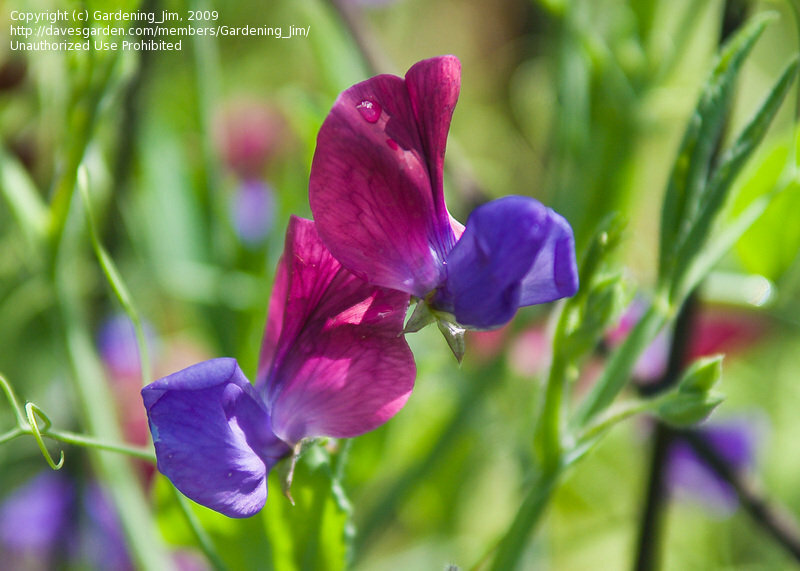 Purple/maroon 'Cupani' sweet peas in a bouquet with white 'April in Paris' sweet peas. 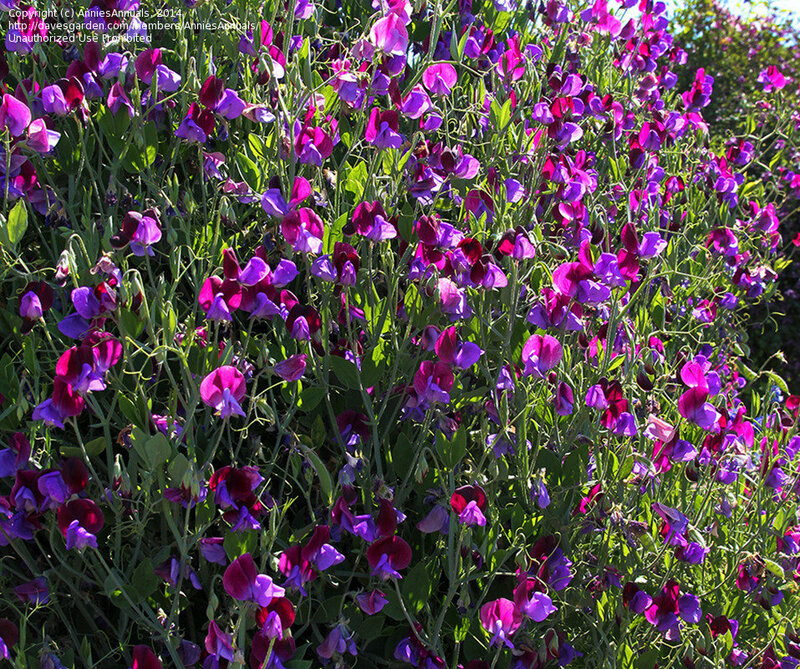 FRAGRANCE GALORE! 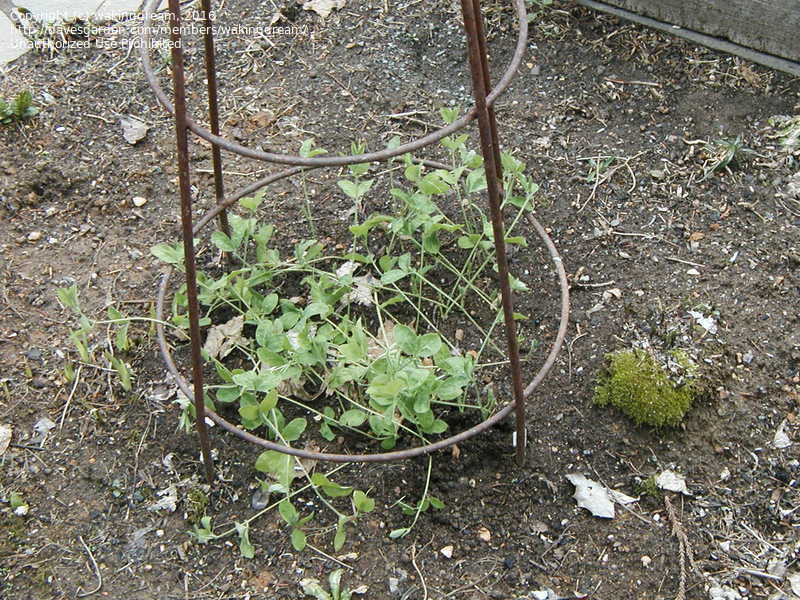 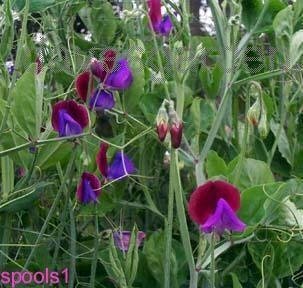 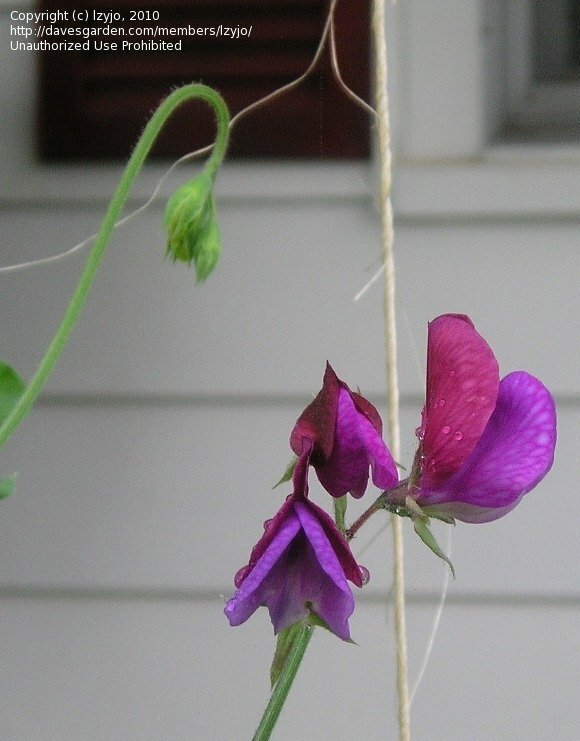 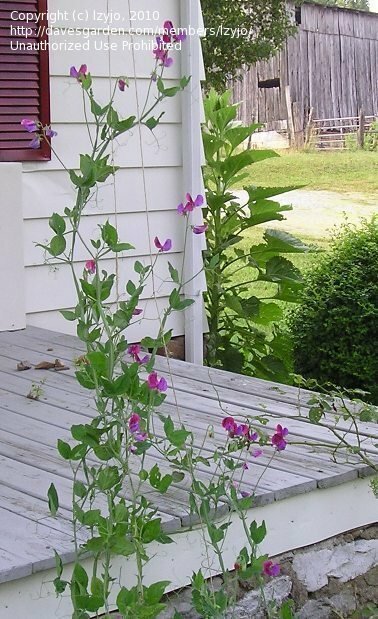 April image of 'Cupani' sweet pea seedlings which will eventually fill the center of this wrought iron tuteur structure.